I have been working on this tutorial for a while. My goal was to teach anyone not the basics, but just about everything about how to play Dungeons & Dragons in one video. All you should need is this D&D Cheat Sheet and this video. You should also know how to create a D&D character unless you want to use the ones I use in this video. I show how to do that in this video in which I make a Fighter and in this where I make a Wizard. 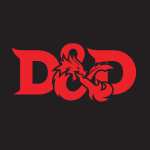 The basic D&D rules are here for free. I would recommend if you want to run through a proper D&D story that you should check out the D&D Starter Set. i. The Wizard starts to move but a net trap (DC 20) falls on him. He makes an athletics check rolling 7 - 1 (Athletics) and he is trapped. i. The Cleric moves 1 space and tries to free to wizard from the net (AC 10). The Cleric rolls 20 for a critical hit on the net. That means I roll damage twice. 1d8 + 2 for 18 + 2 = 20 damage and the net is destroyed. And the Wizard is free. i. Fighter moves 3 spaces and then rolls to jump 6 + 4 (Athletics) = 10 and clears the cracked bridge. He puts down a board so it is easier to cross. i. The Rogue tries to climb the Rock Wall DC 15. Rolls 4 - 1 Athletics and falls. Rolls for a saving throw DC 10. Rolls 19 and is ok.
i. The Fighter moves 2 spaces. The Fighter sees an NPC and asks if there is danger near by. The NPC says there is no danger here. Just fish! The Fighter makes an insight check to check for the NPCs truthfulness, motives or to gain clues. DC is normally 10 - 20. I'll use 10 and roll 16 + 1 (Insight) and the Fighter thinks the NPC is lying. i. The Cleric moves 5 spaces and tries to Intimidate the NPC (DC 15). The Cleric rolls 5 + 3 Intimidate and fails. i. The Rogue tries to climb the Rock Wall DC 15. She throws a rope up to aid her and drop to DC to 10. She rolls a 11 - 1 Athletics and succeeds. i. The Fighter tries to look for food. Rolls 12 + 3 Survival and finds 1 days food for 3 players by catching fish. i. The Wizard moves 6 spaces and then rolls an investigation check (DC 15). Rolls 19 + 5 Investigation and succeeds. He discovers Goblin tracks. i. The Cleric moves 5 spaces and rolls a Persuasion check on the NPC (15 DC). He rolls a 20 and the NPC says he saw 3 Goblins nearby. i. The Rogue moves 5 spaces near the NPCs caught fish and tries Slight of Hand to steal a fish (DC 15). She rolls 4 + 7 SOH and fails. The NPC accuses the Rogue of stealing. The Rogue makes a Deception check (DC 15) and rolls 18 + 4 and convinces the NPC that she was just admiring the fish. i. The Wizard doesn't move, but makes a History check about the dungeon ahead (DC 10). Rolls 8 + 5 History and remembers this dungeon contains much in the way of gold and ancient powerful weapons. i. The Cleric notices a Dog at the entrance for the Dungeon and moves 5 spaces infront of it. The Cleric rolls for Animal Handling to see if the Dog will shake paws (DC 10). He Rolls 11 + 3 (Animal Handling) and the Dog shakes. i. The Rogue moves 5 spaces. As she passes the NPC she tries to pick a coin from his pocket (Passive Perception 12). She rolls a 1, but has Lucky so she rolls again. This time she rolls 16 + 7 Sleight of Hand and steals 1 SP. ii. If she tried to steal a heavy object the DC would be between 20 - 25.
i. The Fighter moves 5 spaces and sees that a wooden door blocks entrance into the dungeon. He tries a Strength Check on the door (DC 13 - 23) (DC 19). He has a Proficient Strength of + 4 and has a Crowbar + 2. He rolls a 5 + 4 + 2 to get 11 and the door doesn't break. ii. The Wizard decides to cast Firebolt on the door. Inanimate non-magical objects don't have saving throws. The Wooden Door does have Hit Points of 10. The Wizard Rolls 1D10 to get 8 and drop the Doors HP to 2.
ii. The Cleric hits the door with his Warhammer doing 1D10 + 2. He Rolls 9 + 2 smashing the door open. i. The Rogue moves 5 spaces and then tries for a Stealth Check. The DM says you must Roll 9 to hide. The Rogue Rolls 6 + 7 Stealth and hides behind a rock. a. The Players face 3 Goblins. b. Check to see if Players are Surprised by the Goblins. If a Player is Surprised they can't do anything for the round. Since the Rogue is in Stealth it can't be Surprised. i. Roll D20 representing all of the Goblins ability to Surprise. That number is added to the Goblins Stealth Modifier. iii. The Players Roll D20 + Perception Modifier to see if they are Surprised. ii. Goblin 1 attacks the Fighter with the Shortbow. vi. The Rogue Rolls to determine Damage and gets 5 + 2 killing Goblin 1. She could have done an additional 1D6 of Damage with Sneak Attack. ii. Goblin 2 Attacks the Fighter with the Shortbow. iii. Goblin Rolls to determine Damage. 3 (D6) + 2 dropping the Clerics Hit Points from 12 to 7.
ii. Cleric swings 1 Handed Warhammer at Goblin with 15 AC.